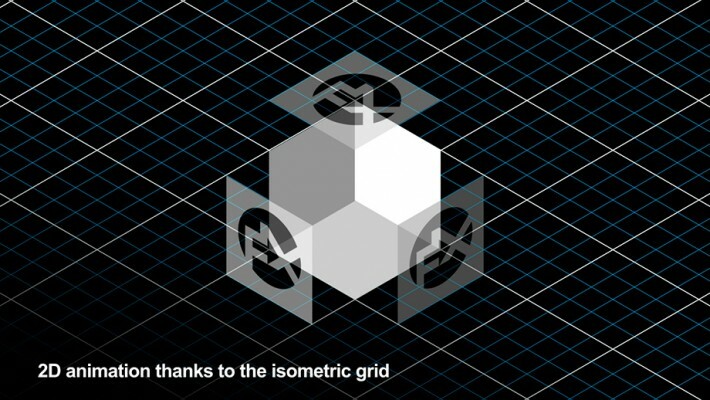 Finally, isometric graphics made easy within After Effects ! 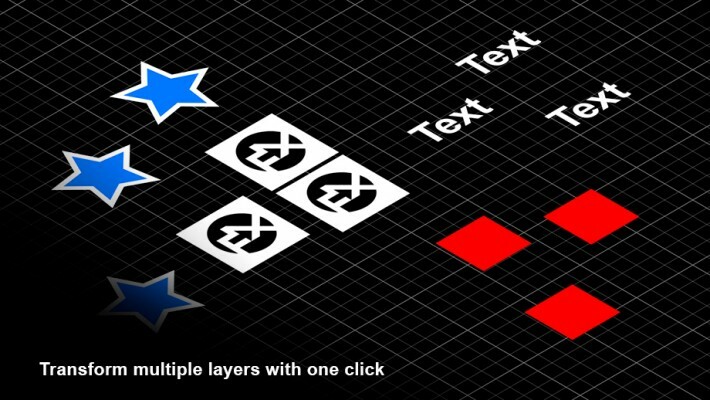 Two useful modes (faked 2D or true 3D) to choose from... and tons of possibilities! Who doesn't know (and like) isometric graphics ? This famous kind of perspective, recognizable by its absence of vanishing point (lines appear parallel to each other), can be seen almost everywhere. Even if you think it's just one more trendy style, you might be right, but, as a motion designer, you just can't ignore this pretty stylish and efficient style ! Okay but... How could you achieve this "isometric" look within your favorite animation software ? 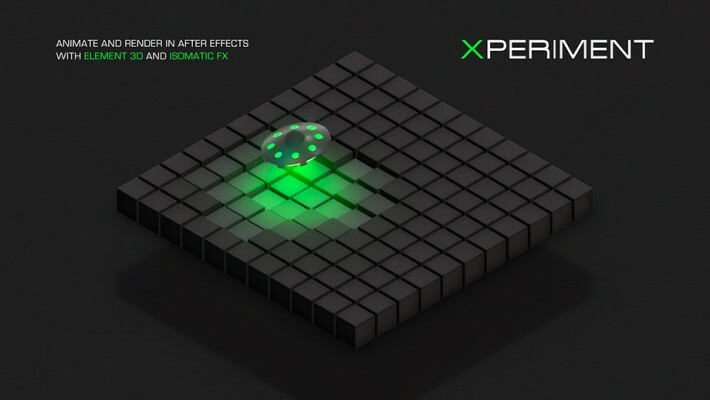 Introducing... Isomatic FX, the first tool that allows you to create isometric graphics, right inside After Effects ! Isomatic FX comes with a little yet efficient UI, that let's you toggle from a "2D" mode to a "3D" mode (just click on the corresponding button). 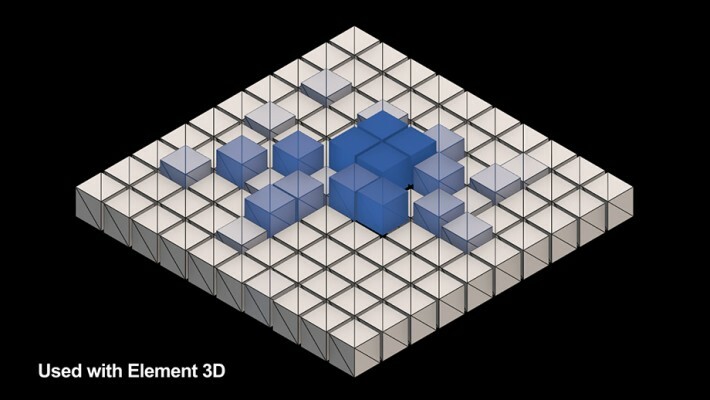 The 2D mode's tools will allow you to fake isometric style on any kind of 2D layer (work with solids, precompositions, footages, text layers and shape layers), while the 3D mode's tools are made to be used with real 3D layers (with a real 3D camera that mimics almost perfectly a true isometric camera). While creating some faked isometry with IsomaticFX by clicking on its "2D Left isometry", "2D Right isometry" or "2D Top isometry" buttons, some new expressions are now applied to the 2D layer's transform position, that are linked to 3 useful sliders in the Effects panel (one slider per axis, called respectively "X Movement", "Y Movement" and "Z Movement", for each 2D layer). These 3 sliders will then allow you to easily animate the movement of your 2D layers while constraining them along isometric axis, like if they were in a real 3D isometric space, which is way more convenient to animate your 2D isometric design, than animating their position manually ! Two clicks on it removes the isometry from these same layers. Creates a customizable isometric grid as a guide layer. Note that you can only create one Grid layer by composition. Note that you can only create one iso Camera by composition. ALT + Click on it rotates them in the other direction. SHIFT + Click on it rotates them around their Z axis. applied to it, to help you define the "floor plane" of your scene. Indeed, if you had already created an Element 3D scene in the comp in which you are about to create an isometric camera, the script will instantly find each Element 3D effect's instances, and set up the "Camera Cut off" options correctly for you, after having clicked on the IsoCamera button (otherwise, the default values in Element's "Camera Near Plane" and "Camera Far Plane" would be far to small to allow you to see your Element 3D scene with the isometric camera, which has a really high focal distance and zoom amount.). So, in order to make the Isomatic FX camera work in conjunction with Element 3D, it is better to create your scenes and animations with Element 3D and a more standard camera first, then to create the isometric camera with the tool afterward. Please note that other 3D plugins like Trapcode Particular/Form or Plexus would not work correctly with this isometric camera due to their "camera cut off" limitations. Just copy and paste the .jsx file into your Adobe After Effects' Scripts > ScriptsUI Panels folder. Works on PC and MAC, and is compatible with After Effects CS6 and CC. - The 3 "Left, Right and Top faked 2D isometry" buttons behave differently now since the 3 movement axis sliders could be useful for imagery and design elements that are already isometric (it wouldn't make sense to fake isometry on top of an isometric element, the result would be ugly !). So, if you apply one of these 3 faked isometry appearance on a layer, re-clicking for the second time on the same button (L, R or T) will remove the isometric effect BUT NOT the 3 constraints sliders nor the corresponding expression on the layer's position. While creating some faked 2D isometry with the help of the 2D "Left", "Right" or "Top" isomatic FX buttons, some expressions are now applied to the 2D layer's position, that are linked to 3 useful sliders in the Effects panel (one slider called "X/Y/Z Movement" per axis). 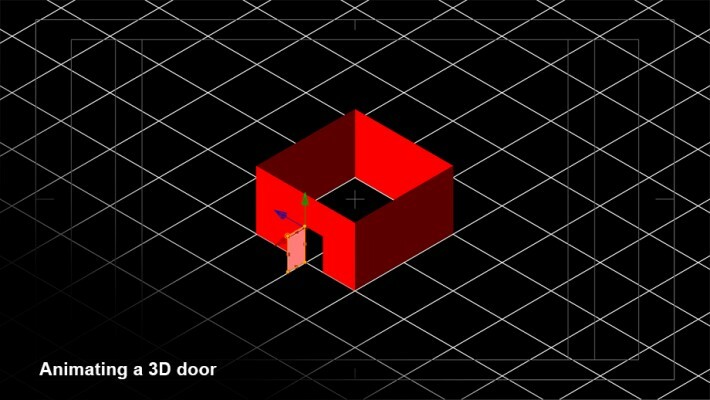 These sliders will then allow you to easily animate the movement of your 2D layers while constraining them along isometric axis, like if they were in a real 3D isometric space. Constrain movement in isometric 2D space. Create simple animations or even exploded isometrics easily. Tool that helps you organize your comp better with a wide variety of modular grids. Gradino is an animated typeface stretched out on an imaginary step; its characters unfold open and slip away. Funny and whimsical, ideal for amusing messages! Split text layers into characters, words, lines and more. The placement of each character is accurately preserved without expressions, text animators or other tricks. 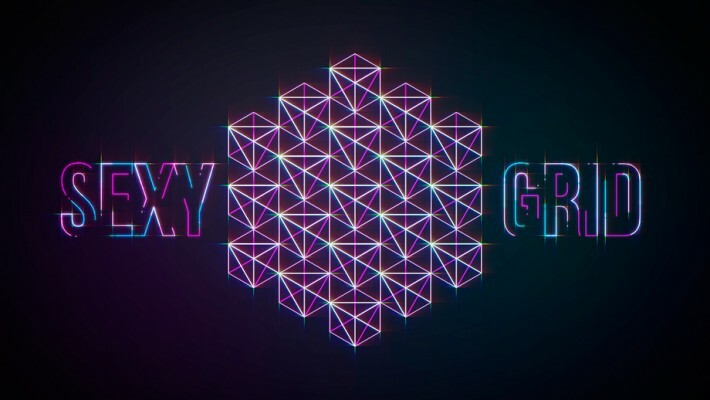 Generate and animate glyph clones procedurally, just like in Cinema4D's Mograph module. You won't believe what you gonna create within one text layer !